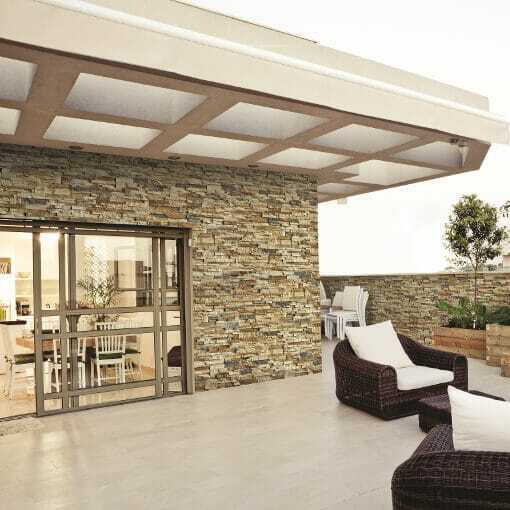 Madagascar – Split face panels give the appearance of natural stone but with the convenience of easy installation and the benefit of huge cost savings. This product is sold per box – £21.46 (£17.88 ex VAT). Each box covers 0.48 m2. 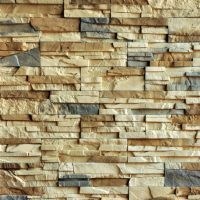 The external stone wall panels in this range are inspired by the entire metaphysical aspect of this amazing island of Madagascar. Its steep precipices, volcanic mountains, forests and deserts are encapsulated in the design of this panel. The expressive structure of the product reflects the severe climate of dry sub equatorial forests and limitless savannah. A combination of the dominant bronze with some tones of volcanic grey renders makes our Madagascar wall panels perfect for various modern exterior and interior design styles. Once installed these external stone wall panels give the appearance of natural stone split face panels. Our cladding products have the convenience of fast and easy installation, a large range to choose from and the benefit of huge cost savings. Higgins Wall Decor Store caters for different tastes and creative minds. 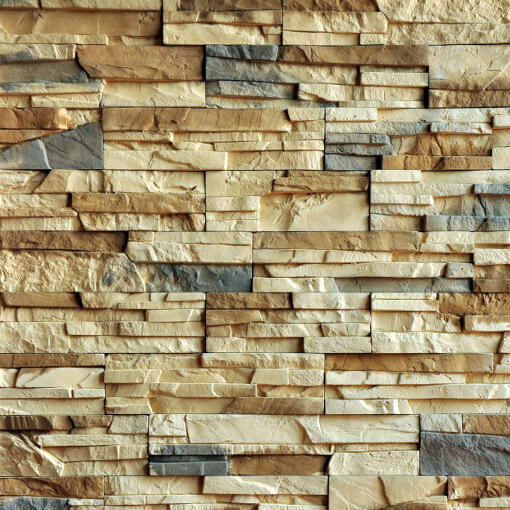 These Madagascar external stone wall panels are part of the Madagascar range and are made from hardened cement. The panels are an exciting and individual design choice. 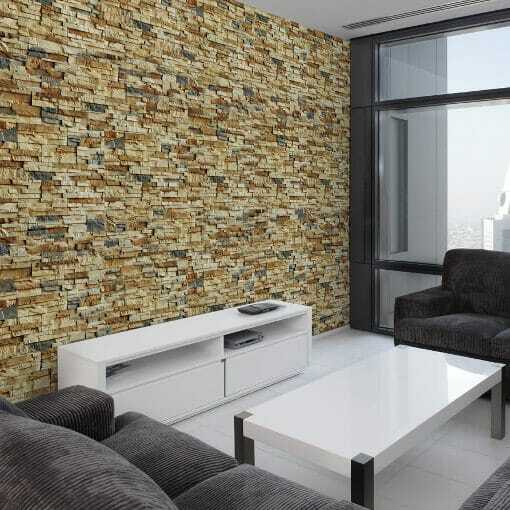 A truly modern and innovative way to bring a stone effect feature wall into your home or business. Our external stone wall panels are a precast product that replicates the look and feel of natural stone. The manufacturing process doesn’t involve quarrying natural stone. Therefore, reducing impact on the environment. These cast external stone wall panels will assist in the creation of captivating designs owing to the individual character of their colour, pattern and form. Panel Sizes: 395 / 330 / 245 / 180 x 93 mm. Coverage Area Per Box: 0.48 m2. Coverage Area Per Box: Available in boxes covering 0.9 lm.